Unbelievable… It’s been almost 5 months since I last posted something here. I had a lot going on since that last post: A daughter graduating from college, a son graduating from high school, a few family vacation trips, moving my son into college, and between all of that, I was juggling an overwhelming amount of work from 3 demanding clients (and still am, quite frankly). But I’m back now, ready to finally re-JOIN the SQL blogging world once again. 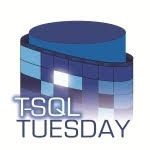 And that is very apt, because this post is part of the October T-SQL Tuesday on the subject of JOINs, hosted by Stuart Ainsworth. We are all aware of the various JOINs that are available to us in the T-SQL syntax: INNER JOIN, LEFT OUTER JOIN, RIGHT OUTER JOIN, FULL OUTER JOIN, and CROSS JOIN. But what I wanted to talk about today are two other kinds of JOINs: The (LEFT or RIGHT) Semi JOIN and the (LEFT or RIGHT) Anti Semi JOIN. These are not available to us directly in the syntactical sense, but they are employed in a Query Plan when you use certain types of queries. A LEFT Semi JOIN returns rows from the left side that have at least one matching row on the right side. At first glance, this seems very much like a regular INNER JOIN, except for one thing. With a LEFT Semi JOIN, the rows from the left table will be returned at most once. Even if the table on the right side contains hundreds of matches for the row on the left side, only one copy of the left-hand row will be returned. Note that the data flow arrow from the Products table showed that 8 rows were processed, and the total rows that were requested by the Nested Loops operator from the SalesOrderDetail Index Seek for those 8 product rows were 1531. Note that the Nested Loops operator is a LEFT Semi JOIN. Somehow the optimizer is “smart enough” to realize (because of our INNER JOIN and the DISTINCT and our result set only consisting of columns from one side of the JOIN) that it would be more expensive to do the full INNER JOIN and then eliminate the duplicates, and so it employed a LEFT Semi JOIN. This is much more efficient because the Nested Loops operator only needs to request a single row from the SalesOrderDetail Index Seek operator for each Product processed… If a single row exists in SalesOrderDetails, then it can release the Product row to the Select operator for output. If no row exists, then it tosses out the Product row and moves on. If you hover over the data flow arrow coming out of the Index Seek, you’ll see that only 7 rows were passed along (because one of the 8 Product rows did not have a match). All three of the above queries produce the exact same plan, which is the very efficient Semi JOIN plan that we just examined. It’s really a matter of style as to which approach that you use. I prefer EXISTS or IN. The INTERSECT operator is kind of cool, but it is very limiting. For example, let’s say we wanted the result set to include the Name of the Product as well. In the EXISTS and IN queries (and for that matter in our original INNER JOIN/DISTINCT query), we simply add the Name column to the SELECT clause and we’re done… And the query plan would remain unchanged except for the fact that an extra column will come from the Product table. For each Product row acquired in the Clustered Index Scan, it does a SEEK into the same Clustered Index to get the Name! What a waste of resources. So, for each of the 8 Product rows, the Nested Loops operator requests a row from the SalesOrderDetail table. If one exists, then it tosses the Product row aside and moves on. If one does not exist, then it releases the Product row up to the Select operator for output. The EXCEPT operator has the same limitations as was described for the INTERSECT operator and therefore is not as useful as the NOT EXISTS or NOT IN types of queries. So if you prefer the NOT IN style over the NOT EXISTS style of querying, it’s a good idea to get in the habit of including a WHERE IS NOT NULL predicate to the subquery. I’ve seen people in the past saying that the LEFT JOIN/IS NULL approach is faster than the NOT EXISTS approach, but frankly, I can’t see it. If anyone has an example to offer, I’d certainly like to take a look. I can confirm that the left join + where is null trick is slower. I do not see a reason why this cannot be rewritten into a left anti semi join. No, I believe the original statement I wrote is correct. The query plan that I illustrated in the blog was the result of me just changing the ProductID column to a NULLable column. I didn't actually INSERT any new rows into the table, so every single ProductID was filled in with something. After School Activities franchise India is the best option to run a successful After School Activities franchise business. You can explore Brainy -A established and well known Institute.